I know, I asked myself that question too. I’m here to tell you – it’s kind of my new favorite drink! 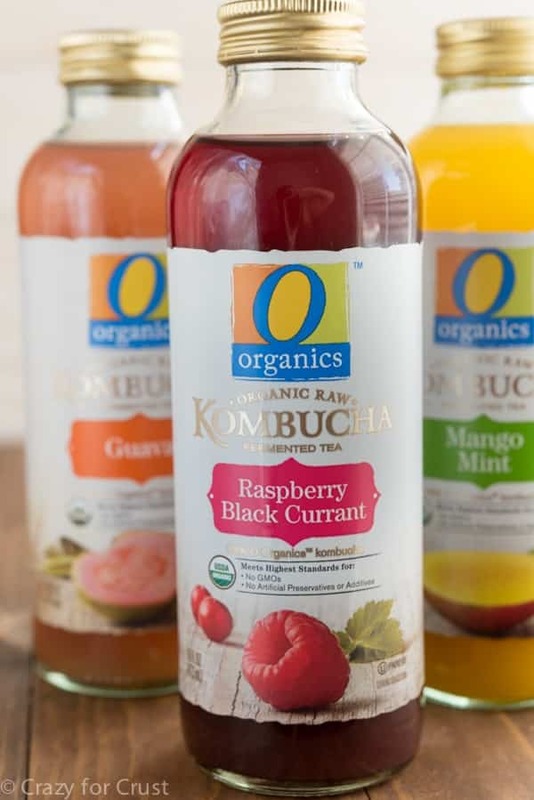 When Safeway asked me to try their new O Organics Kombucha line of drinks, the first thing I said to myself was What the heck is Kombucha? I’d never heard of it, and I bet some of you haven’t either. 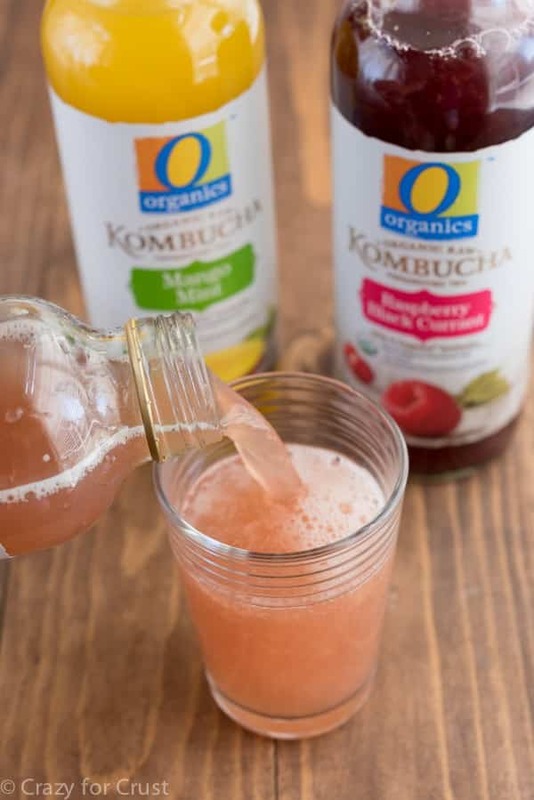 I did some research and found out that Kombucha is a fermented tea that is also a flavorful priobotic drink. That alone, the priobotics, had me interested; those little buggers are my BFFs. 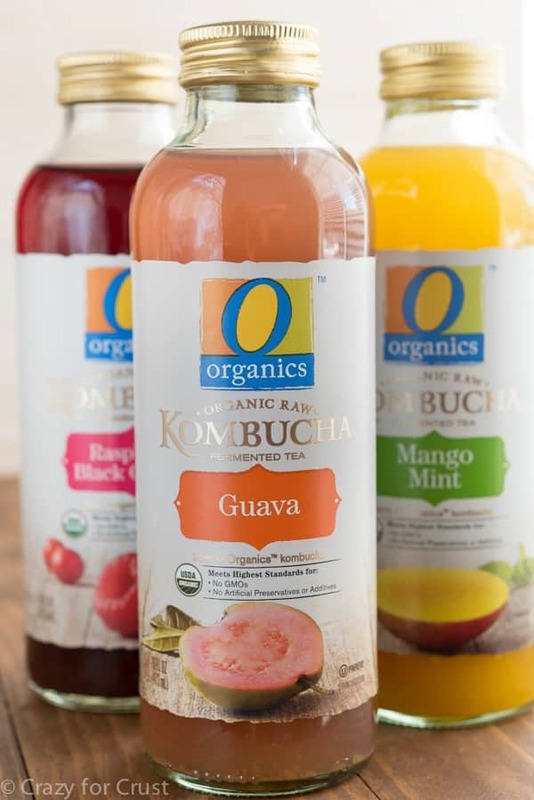 One of the key health benefits of the O Organics Kombucha is as a digestive aid due to the more than 2 million priobiotic cultures in the drink, as well as the active Kombucha. Honestly? I don’t know much about the health claims about Kombucha, but I do know it tastes mighty yummy. I tasted three of the flavors from my local Safeway store: Raspberry Black Currant, Mango Mint, and Guava. Guava was my favorite – it reminded me of Hawaii. 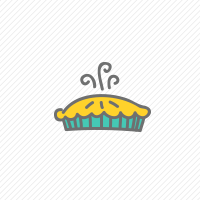 Their other flavors include Ginger Lemon, Pomegranate Hibiscus Lime, and Cranberry Peach. I’m totally trying the Pomegranate one next, I’m kind of obsessed with how hibiscus would taste in a drink. Besides the active cultures, I was most excited to try this stuff because every afternoon I crave a sweet drink. I normally drink only water and I’m trying to avoid inhaling all the baked goods in my freezer, but by 3pm I need a sugar fix. Lately I’ve been reaching for soda, which I really don’t want to be drinking. I figured that, if I liked the Kombucha, it’s a good alternative for my afternoon fix: it’s a little sweet, a little tart, a little carbonated, and it only has 50 calories per cup. 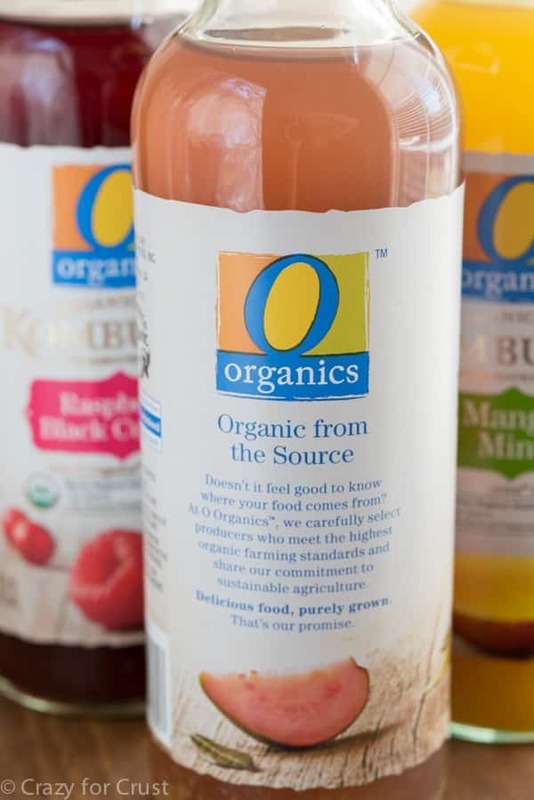 O Organics Kombucha is certified organic and made with USDA Organic ingredients. If you already love Kombucha and are looking for a organic version, don’t go through the hassle of making it at home. This one is the one for you! Or if you’re just looking for a tasty drink instead of your afternoon tea, soda, or juice, give this one a try. You can find it at your local Safeway store in or near the produce section. It’s refrigerated, so it’ll be in one of those cases. Sounds good. I want to try the Pomegranate one. You’re exactly correct when you state this product is very good for human consumption, due to it’s flavor because we as biped’s all eat & drink with our noises anyway so why not enjoy it when it’s good for your body too!!! It’s known throughout time that any food man has discovered that is left to sour is of great value when consumed by us. “Note” check out fermentation & pickling if your curious about real nutrients for your body!! Apparently, a local Stop and Shop store carried O Organics Kambucha and I thought I try it. I was very pleased by the effects it had on my digestive system! However, it’s gone!! I’m trying other brands and so far, they do not compare to what “O” had done with my system, and I am disappointed. I would prefer to not have to order online. Any suggestions?